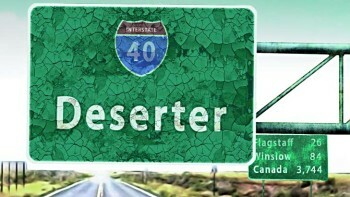 • Deserter (2007 – 30 min) follows the journey of US Iraq War resister Ryan Johnson and his spouse Jenna as they make their way across the U.S. to seek asylum in Canada. • The Path of Glory (2014 – 50 min) – a documentary featuring U.S. war resisters Kimberly Rivera and Jeremy Brockway. There will also be a brief update on the federal election and the campaign to let U.S. war resisters stay. « UNMANNED: America’s Drone Wars – Fundraiser for War Resisters Support Campaign? War Resisters Support Campaign © 2019 All Rights Reserved.